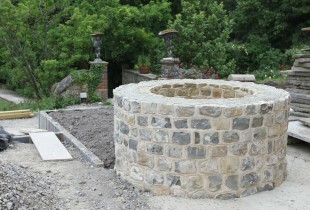 A new feature has been built at the Chantry following the discovery of a well in the garden. 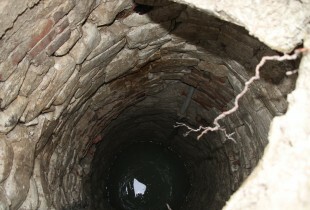 Before this was uncovered, there was no knowledge of the well’s existence and it does not show up on any of the historic maps of the property. The hole in the ground which is approximately 10 meters deep and 2 meters in diameter has 3 meters of water at the bottom and was covered over with a layer of stone slabs. 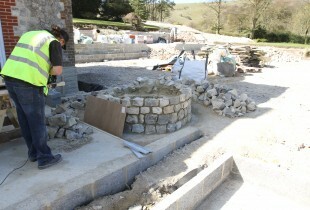 It was discovered by one of the workmen who was removing the slabs in preparation for a new patio.